Unless someone from Michigan wins a national championship in the next month—à la Randy Lewis when he won the USGA Mid-Am in 2011—it’s now a safe bet to honor Kentwood’s Tom Werkmeister as the Michigan Player of the Year. It’s been an amazing year for the 45-year-old internet salesman. Long a dominant player in West Michigan, Werkmeister has a bulletproof game that travels well no matter where he tees it up. In June, Werkmeister became the first male amateur since Bob Ackerman in 1975 to win the Michigan Open. And he did it in convincing fashion at The Orchards GC, putting together rounds of 66-70-67-72, for a 13-under par 275 total, two shots better than defending champion Barrett Kelpin. The following week at Muskegon CC he attempted to be the first player to win the Open and Michigan Amateur in the same year. He was medalist by three strokes, shooting a four-under 140 total (70-70) and claiming the top seed going into match play. After winning his first match, Werkmeister paired off against Andrew Chapman. 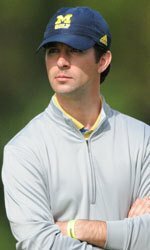 The 2009 Michigan Amateur champion was three up early in the match against Chapman but his opponent rallied on the back nine and won the match on the 21st hole. Chapman went on to win the Michigan Amateur title. Over the course of the season, Werkmeister continued his strong play in local Grand Rapids events. In fact, he won all four of the so-called local “majors”—the West Michigan Amateur, the Match Play, Kent County Amateur, and GR City Championship. He was the first golfer to accomplish the local “slam” while also tying another “local legend,” Bob Sakocious, for the most local titles with 23. It should be noted that Werkmeister received all of his acclaim with a typically understated and humble demeanor. Equally impressive is how well Werkmeister scored in these events. At the West Michigan Amateur at Candlestone, he won his seventh title with rounds of 70-73-67. After winning the City Match Play, he notched his sixth Kent County crown with rounds of 66-69-70. And to top it off at the GR City Championship at Railside, he followed a 69-70 start with a course record 63 to win the championship by ten strokes. Now that’s what I call convincing! But his season of outstanding play was not finished. 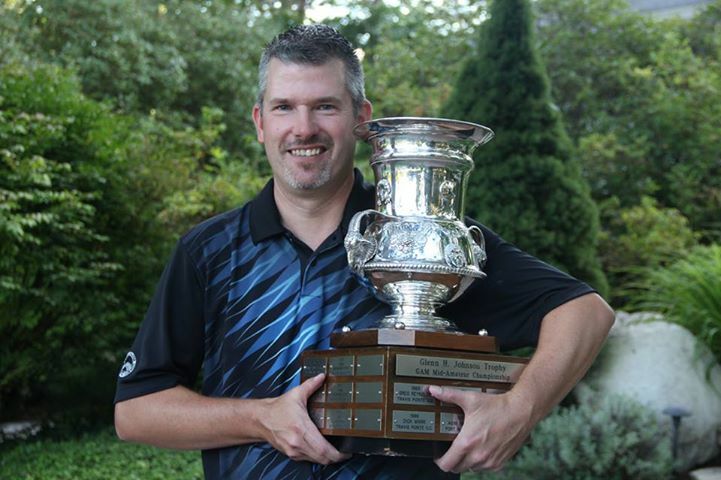 In early September, Werkmeister won his fifth Golf Association of Michigan’s Mid-Amateur Championship in the last six years at Boyne Highlands. His two-day total was 132 (68-64)—11-under par. For the record, Werkmeister was a factor in several other events. At the GAM Championship, he was third while at the USGA Mid-Am qualifier he was first alternate. And speaking of the USGA, I wouldn’t be surprised if someday Tom Werkmeister duplicates Lewis’s memorable win and claims a national title. Until then, he’ll have to settle for the 2013 Michigan Player of the Year. Well done, Tom.